B2B sales cold calling is disappearing – stats quote only 30% engage in cold call, more internal sales and more online marketing. Buyers are doing more desk research online and talking to peers and colleagues, and industry forums / online conversations. Purchasing Annual Budgets are used less – stats quote 40% of B2B buyers justified purchase even though not in a budget. 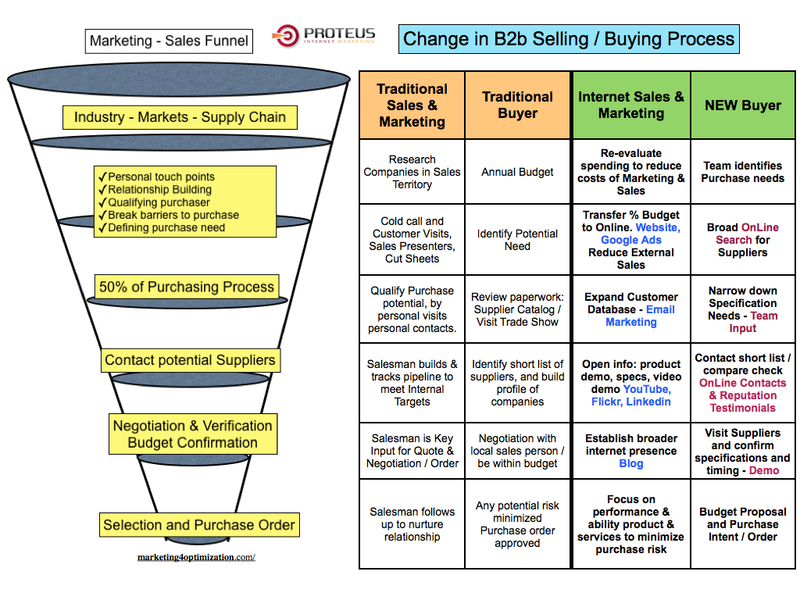 B2B research firm Enquiro the buying process…. and more informed than its pre-millennium ancestors.